In this industry, safety isn’t something to take lightly. At Mid-States Concrete Industries, safety is not a trend or something to sell or be really good at. It's a journey, our way of life. We do not compromise safety, ever. Our vision is to change the world by being the safest and most innovative precast building company. To ensure this vision is a reality, Mid-States has developed a safety mindset, not just a commitment. To be truly safe, every employee must learn how to identify hazards and work as a team to eliminate those hazards. We don't put people in to Mid-States, we put Mid-States in to our people and we train to build the mindset, to create world-class safety habits. Every day, we are part of creating world-class buildings in which to live, work and play. And to keep doing that, we must make sure our crews are staying safe, always. In the plant, in the yard, out in the field, driving from job site to job site – everywhere. We want our team members to go home to their families every single shift, in the same condition they arrived for their shift. How do we do this? Partly with events like Safety Days. Conducted annually, Safety Days offers all of our team members a refresher course on the company’s safety guidelines and policies. Safety Days is led by Mike Wolff, Vice President of Safety and Quality. “Every year, we have customers call to say you guys are the safest guys (they have) ever seen,” Mike shared. It took plenty of work and dedication for the team to get to this point. In addition to in-depth internal training of all new employees, and continuing internal education for all employees, all foremen are 30-hour OSHA certified. The entire field crew is first responder certified. 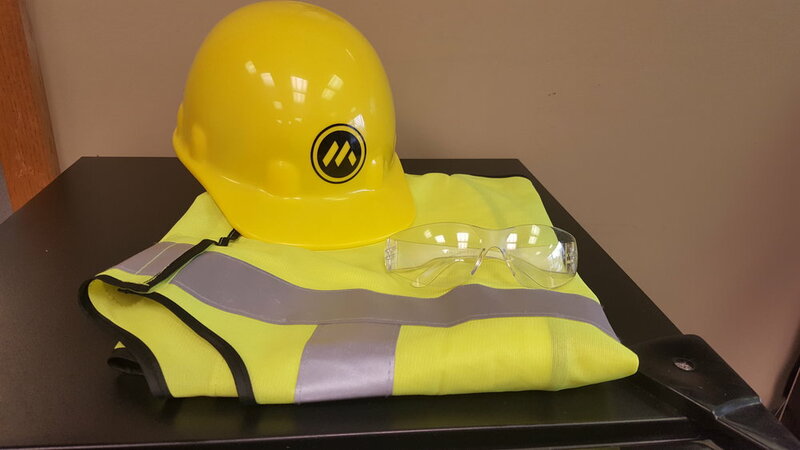 Safety Days covers safety policies and procedures, like the importance of personal protective equipment, maintaining equipment safely, site safety plans and hazard identification. Hagen Harker, President of Mid-States Concrete Industries, acknowledged the dedication to safety Mid-States’ employees show. “What you do to build buildings is incredible,” Hagen told the crew. He acknowledged that even when employees find themselves at a challenging job site, they still focus on not just getting the job done, but getting the job done safely. “I don’t take for granted what you do out there every day,” Hagen told the team. He also commented that every day employees are out on a job site, they have an opportunity to build a world-class building. Newer PostCamber: What is it?